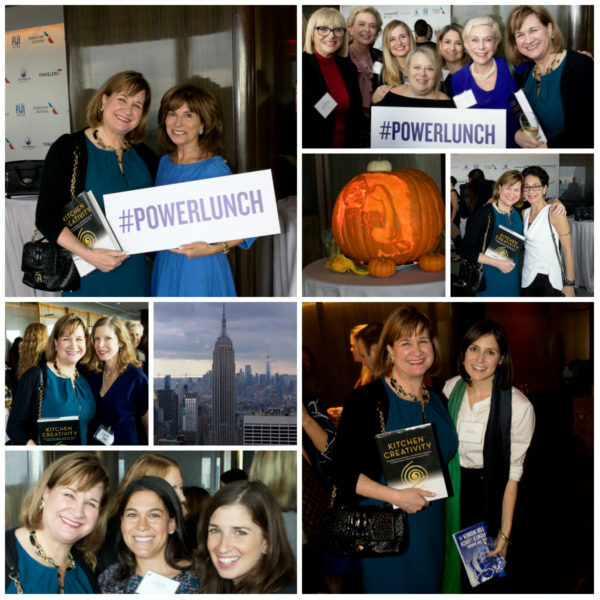 Yesterday, hundreds of New York City’s most powerful women gathered at The Rainbow Room to raise money to feed the city’s homebound elderly at Citymeals’ 31st Annual Power Lunch for Women. 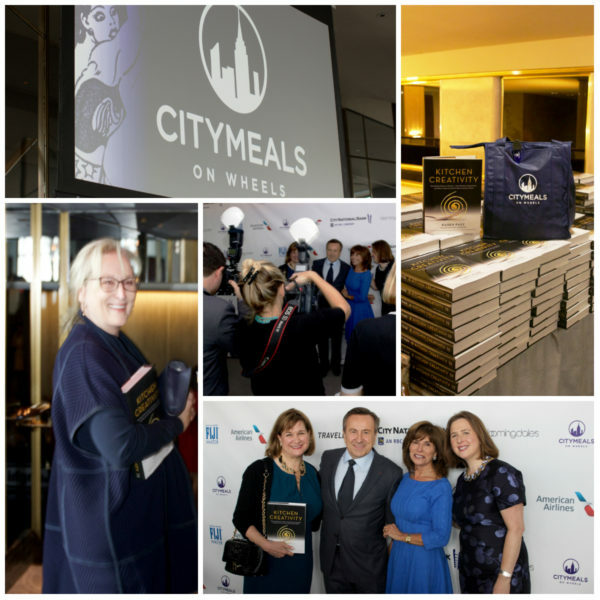 As a token of appreciation for the generosity of those nearly 400 women (not to mention the men who pay $10,000 for the privilege to dine with them, including Citymeals’ Co-Presidents Chef Daniel Boulud and Bob Grimes), each received a copy of our book KITCHEN CREATIVITY with their gift bag thanks to the generosity of Little, Brown and Company. The lunch is always one of the highlights of Karen’s year, but seeing her (not to mention the world’s!) 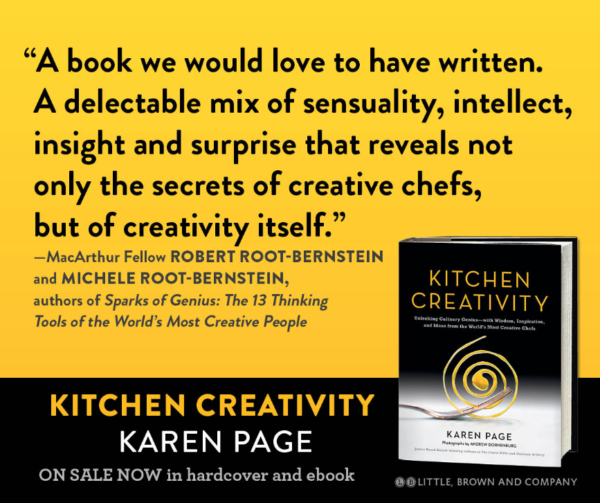 all-time favorite actress Meryl Streep holding a copy of KITCHEN CREATIVITY was a highlight of Karen’s life! Emceed by Rosanna Scotto, this star-studded event indeed drew Meryl Streep as well as Liam Neeson, Christie Brinkley, Kathie Lee Gifford, and a host of other celebrities of film, TV, stage, industry, and the professions (including Madison Park Ventures’ Cathie Black, philanthropist Jill Black, New York Times bestselling authors Bianca Bosker and Laura Day, Rotisserie Georgette’s Georgette Farkas and Fabrique’s Francine Farkas, Kasirer LLC’s Suri Kasirer, “CBS This Morning” legal analyst Rikki Klieman, designer/restaurateur Barbara Lazaroff, restaurateurs Maria Loi and Marisa May, Google’s Allison Stein and Becca Ginsberg, actress Kathleen Turner, and The Strand owner Nancy Wyden) to honor Nick Valenti and the Patina Restaurant Group along with Tren’ness Woods-Black. Last year’s honoree co-founder Gael Greene was on hand for the introduction of a moving video about Citymeals’ outstanding volunteers, who in some cases become surrogate family to meal recipients. Seeing long-time friends and connecting with new ones is always a highlight of the afternoon — as is being reminded that every dollar we donate is going to an exceptionally well-run organization serving an exceptionally deserving cause. 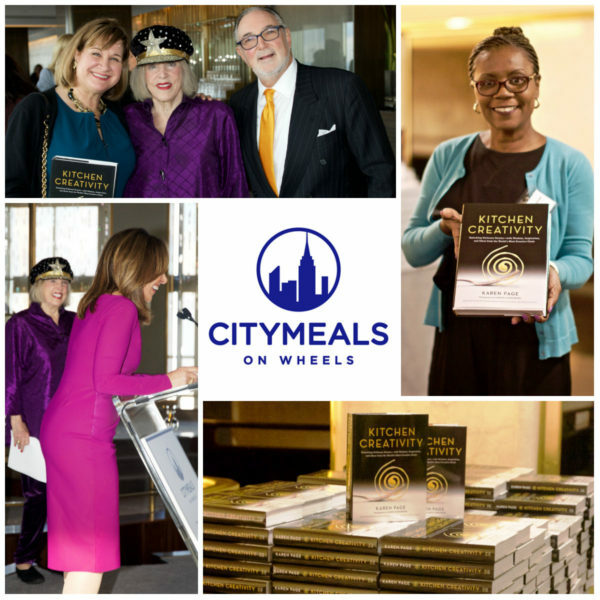 Citymeals-on-Wheels devotes 100 percent of every dollar you donate to the preparation and delivery of delicious, nutritious meals to the city’s homebound elderly. It only takes two minutes to donate online here. Or, you’re welcome to mail your check this holiday season to Citymeals-on-Wheels, 355 Lexington Avenue, New York, NY 10017.